Dental Assistant Credentials Deserve Emblems! Got Questions About DANB Emblems? Fill out the form below with your information and we will be in touch, ASAP! Display Your DANB Emblems On Your Resume! Hey, Dental Assistants! 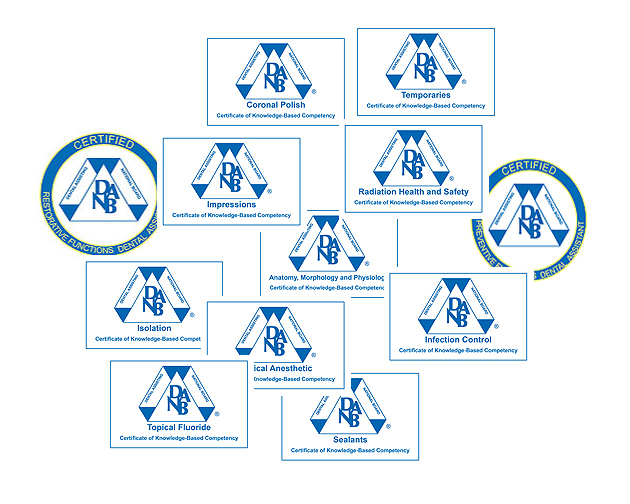 Did you know that you can display the emblems you earn from gaining your credentials through Dental Assisting National Board, Inc. (DANB), on your resume here? Pretty neat, huh? Once your credentials are verified by DANB, they can be displayed on your resume on our site, so the whole world can see how qualified you are! Here’s a list of earned credentials with which you can get emblems to display with your resume on our site. Click HERE to create your resume!